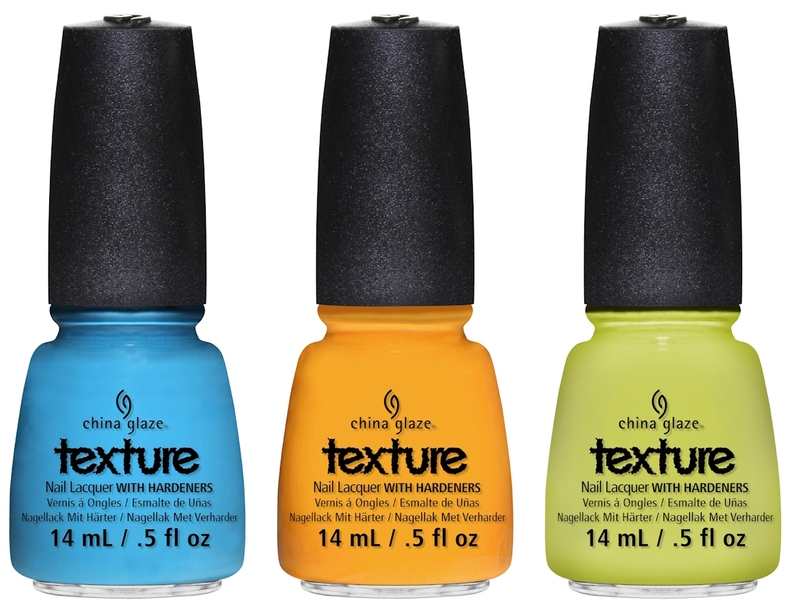 Los Angeles (April 2013): China Glaze® introduces Texture, a unique new lacquer that applies as a crème but dries with a 3D texture effect. 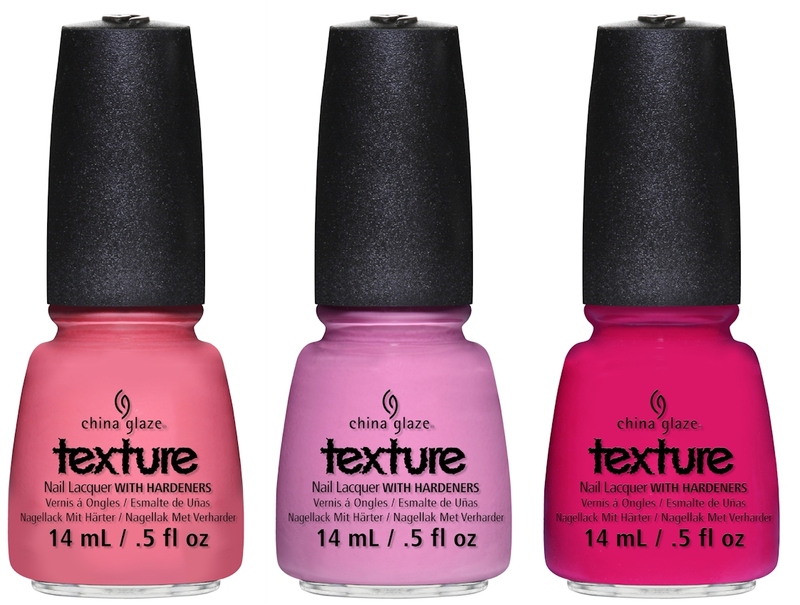 Unlike traditional nail art techniques that require multiple steps, Texture only requires one step—painting the nail. Texture dries matte, but can be combined with China Glaze® Fast Forward Top Coat for a glossy effect. With a finish similar to that of a sugared rim, Texture is the perfect accessory for a beach day, night-on-the-town, or special rendezvous. The China Glaze® Texture collection will be available in May 2013 at fine salons and beauty supply stores nationwide. What do you think of these? I do like textured polishes, but I'm not really feeling them in just 1 color. I haven't seen these irl though, but I think the texture combined with sparkly bits is what works more for me!